Police forces need to readdress their priorities, when they start inventing anti-fracking extremists to target instead of tackling car theft. Baroness Jones writes. Yesterday some of the media reported that a 14 year old boy was being groomed by anti-fracking protestors, until the police stepped in and got a protection order to stop further contact on social media. 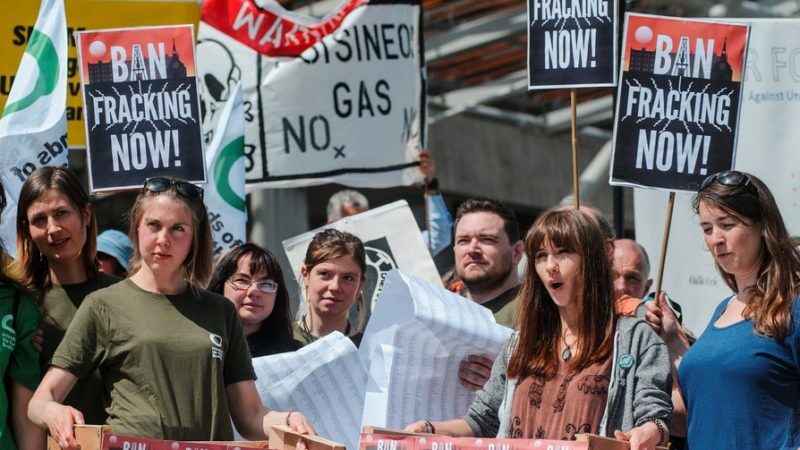 The police hailed it in their official report as a success story, until a journalist asked further questions and the police had to admit that they made up the bit about the anti-fracking campaigners being involved. The police falsely labelling peaceful protestors as extremists is not new. I was put by the Met Police on their database of domestic extremists for over a decade. During those years I was an elected politician – at one point Deputy Mayor of London – I hadn’t broken any laws and I spent twelve years serving on the Metropolitan Police Authority where I successfully worked with grassroots officers to get them the extra resources they needed to do their jobs in areas like traffic and wildlife crime. Astonishingly, anti-frackers are regularly listed in Prevent training exercises alongside violent right wing groups and Al-Qaeda sympathisers. I’ve joined in with lots of anti-fracking protests and they are a lovely bunch of people who are mostly retired women who don’t want a fracking well in their backyard. These people do get arrested for things like slow walking and serving tea to fellow protestor, or even ‘walking with intent’ – if you don’t believe me just google. These local people are seen as ‘extremists’ by the over stretched police, who spend a huge amount of their time and our money in areas like Lancashire protecting the fracking corporations out to ruin the planet, while failing to deal with burglaries and car theft. The police should not be left to decide who is and isn’t an extremist, that should be Parliament’s job. The undercover police currently being investigated at a public inquiry, spied on everyone from the young liberals to trade unionists and the parents of Stephen Lawrence. They wasted their professional careers, over several decades, chasing people involved in the democratic process of debating, campaigning and demonstrating.